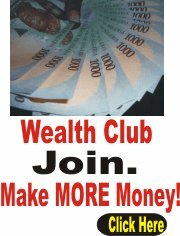 This page details the advertising policy of lagos-nigeria-real-estate-advisor.com and explains how I make money from this web site. My ebooks cover real estate investing strategies to help people make the right investment decision. I put my heart into writing these ebooks. I provide all information at my disposal in these ebooks - nothing left unsaid. These ebooks are based on my personal experience as a real estate agent in Lagos Nigeria, a resident of Lagos, and an investor in Lagos Nigeria real estate. I sincerely believe that if you follow the advice provided in these ebooks, you will greatly improve your financial future and secure your retirement. These ebooks are reasonable priced and are available at the Real Estate Book Store. If you have enjoyed the information on this site, then please support this web site by ordering at least one book from the real estate book store. Click HERE to visit the book store. I get paid a commission whenever I help a client buy or rent property in Lagos Nigeria. This is called the real estate agent commision. I charge exactly what other agents in Lagos Nigeria charge. Nothing more. 1. Property sale commission: 10 percent of sale price for property below 10 million Naira and 5 percent of sale price for property prices above 10 million Naira. When we find a property through other estate agents, we split the commission from the transaction 50-50 with them. Each of these networks provide me codes that I add to the HTML code of each page. These networks then provide ads relevant to the content of the page. I do not choose the ads that appear on each page. The ad networks do. And I get paid each time someone clicks on the ads when they find something they seek. I do not know what the advertisers in the ad networks bid or pay to advertise on my site. I get paid as per each ad network payment policy. I am an affiliate of several products. And I get paid a commission when I refer a client to the merchants I am affiliated to. One of such product is Site Build It! (abbreviated SBI!). When I refer a client to SBI! and the client subcribes, I get paid $75 commission per sale. I actively promote SBI! because I believe it is the smart way to build a web business. I don't just preach it, I also use it. This web site is powered by SBI! My love relationship web site (true-love-relationshi-advice.com) and my leadership web site (radical-leadership-management.com) also run on the Site Build It! platform. Why do I have three web sites running on the SBI! platform? Simple. It works for me. And I strongly believe it will work for you too. So, I actively promote it. Yeah, I get paid a commission. But, hey, that does not change the price of the product when you order through my referral link. The price of SBI! is $299 per year whether you order through me or not. So, why not let me have the commission for introducing the product to you? Click HERE to see what I think of Solo Build It! and why I believe it is the best way to build a web business. I am an affiliate of several products sold by merchants associated with Commission Junction. I get paid commission when I refer a client that makes a purchase. And each merchant payment terms defer. I have spent hours and hours of work building this web site. Fortunately, this web site now pays for itself and brings in extra income. If you have enjoyed the information on this web site, please order an ebook from the ebook store and patronize my sponsors . . . Solo Build It! or other merchants.